SWA’s work on OCT Bay in Shenzhen, China was recently featured in Market Watch. Described as “a new model for urban living in China,” OCT Bay provides urban amenities, entertainment components, public plazas, park space, resort destinations and ecological preserve areas. The site design serves to enhance and complement architectural themes through material, scale, lighting and water features. The 685,000 square meter wetland and nature preserve provides habitat for dozens of species and is considered China’s only inner-city coast mangrove wetland. Los Angeles’ re-examination of its existing creeks and rivers is beginning to pay off with the construction of some of the city’s most promising public realm projects. One such projec is Milton Street Park, a 1.2 acre linear urban park alongside the Ballona Creek Bike Trail. SWA in conjunction with the MRCA conducted community meetings and a public charrette to fully understand the contextual needs and address them in the design process. The proposed park will include native plantings, bird watching platforms, bike trail enhancement, seating areas, outdoor picnic areas, stormwater capture and treatment, as well as the creation of interpretative ecological habitat for birds, insects and reptiles. With over 322 acres, the CSU Long Beach campus hosts a plethora of open spaces, buildings and infrastructural systems that serve the students, faculty and surrounding community. 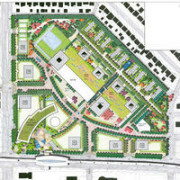 Layered throughout the site are the equally important topographical, ecological, and circulation systems that unify the campus. SWA’s Los Angeles office worked closely with CSU Long Beach on an overall landscape master plan that will guide future landscape architecture projects around a green framework of improved walkways, bicycle parking gardens, new plazas and ecological initiatives structured to filter stormwater runoff and enhance the natural environment. In addition the landscape master plan will guide campus wide sustainability initiatives, improve pedestrian and bicycle safety and overall beautification of the campus. SWA in collaboration with James Cheng Architects, Vancouver BC and Shape Properties recently finalized the Master Plan for Brentwood’s Northwest Town Center for the City of Burnaby in British Columbia. The opportunity for redevelopment is significant, offering the possibility to transform the property into a world-class, vibrant, sustainable mixed-use urban core for the City of Burnaby. The plan focuses on creating a signature destination with an urban character and a mixed-use, transit-oriented city core, as well as attractive residential homes and commercial office opportunities located in close proximity. 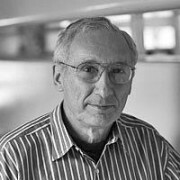 SWA Group has announced the 2012 winners of our Patrick Curran Fellowship program, an internal research award that seeks to further the art and science of landscape architecture. 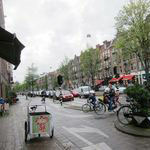 Ten proposals were selected out of 29 applications, ranging from research in social entrepreneurship to an investigation of urban villages in Guangzhou, China. 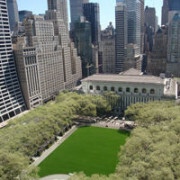 The research supports our mission and firm’s reputation as a world leader in landscape architecture. Fellows receive paid time off to work on their project in addition to up to $10,000 in expenses. See the complete list of fellowship winners here. 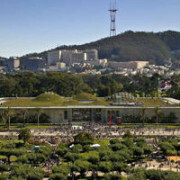 Congratulations to both Gerdo Aquino and David Berkson, two ASLA Fellow honorees for 2012. 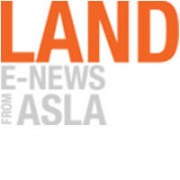 “The American Society of Landscape Architects has elevated 33 members to the ASLA Council of Fellows for 2012. 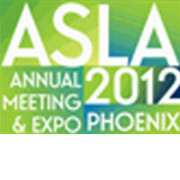 Fellowship is among the highest honors the ASLA bestows on members and recognizes the contributions of these individuals to their profession and society at large based on their works, leadership and management, knowledge, and service.” The Fellows will be recognized at the 2012 ASLA Annual Meeting in Phoenix. What does it take to host and create each Olympics venue? 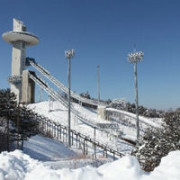 The 2018 Olympics in PyeongChang, South Korea, features a landscape driven by conceptual and master planning done by SWA Group. Featured in World Architecture News, World Landscape Architect, and Sports Feature, the master plan was driven by the desire to use a light touch while creating exciting, high quality competition venues and maintaining the natural beauty of the hilly, forested site. The plan allows for minimal transportation infrastructure, and situates the heart of the Olympic Plaza at the location of the sports venues. By creating a natural, connected site, the space can transition easily from the Olympic Games to a sporting facility and recreational landscape in the future. 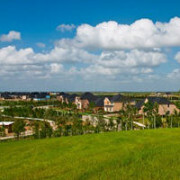 Cross Creek Ranch, a new residential community located 30 miles west of Houston, is centered around the idea that housing development doesn’t need to be built the way it has been before, according to the city’s influential CultureMap.Com. SWA devised a plan to restore the land, make it consistent with native vegetation and make the community a showplace for sustainability and sound ecology. Cross Creek changes the way housing developments are designed by using the environment as key inspiration and sustainable landscape as a central focus. The planning concepts created a consistent identity for the project with an internal roadway network and the expansion of an existing waterway to help organize and maintain distinct neighborhoods. To learn more about Cross Creek Ranch click here. The Las Vegas City Hall project is now complete! Occupying one full city block in the emerging downtown area of Las Vegas, the environmentally-conscious project by SWA Group and JMA Architects features perimeter streetscape, entrance plazas, landscape infiltration and leach fields. The design focuses on climate-sensitive plantings on each side of the main entry plaza, while a grove of architect-inspired photovoltaic “trees” takes advantage of south facing sun and links together the gardens. 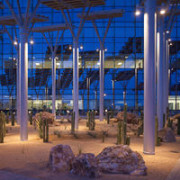 The photovoltaic trees and environmentally-friendly vegetation combine to serve as a public demonstration of a green sustainable energy source in a severe desert climate. What does it take to create a new 107-acre corporate training facility and retreat center? For Deloitte, SWA provided site selection and the landscape architecture to maintain a subtle ranch aesthetic, while conserving the natural habitat and its resources, providing environmental education along with supporting the functional needs of the university. Previously, Deloitte had conducted new employee training, team building and continuing education workshops at various hotel sites all over the United States, spending millions of dollars in hotels, classrooms, and other services. The new project creates indoor-outdoor classroom facilities, recreation and many other amenities for trainees and staff to conduct their learning and team building scenarios. Symantec’s new research and development complex in Chengdu, China was situated on a previously inactive site. 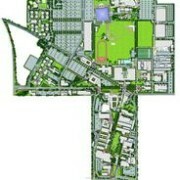 The new corporate facility and site plan reinvigorates the area, linking the building program and connecting the site to the larger city. The landscape design creates a “brocade”, weaving together the building and site program, and creating an oasis amidst the dense, urban location. The project design features stormwater mitigation solutions, an intricately programmed roof garden, extensive water filtration, and environmentally-sensitive outdoor urban spaces. 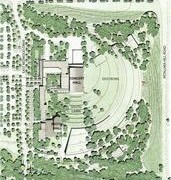 What does it take to create the beautiful setting surrounding Weill Concert Hall at the new Green Music Center? At Sonoma State University, ten enormous 118-year-old olive trees are “each a specimen of nature’s own architecture,” writes Geneva Anderson in her interview with Principal Larry Reed. Creating this setting requires careful thought and collaborative work across many design partners: check out our time-lapse video from the tree installation. We were delighted to see so many people join us at this year’s annual ASLA Conference in Phoenix, Arizona this September. SWA’s projects received four national awards and we had seven speakers and panelists at the event as well as two of our principals named Fellows of the American Society of Landscape Architects. This year’s ULI Fall conference in Denver, Colorado “focuses on an industry fully engaged with larger issues of economic and political consequence—global finance, innovation, the national elections, to name a few.” The Urban Land Insitute brings together leaders from all sectors of the real estate development industry, and several of our SWA team will be joining: Marco Esposito, Todd Meyer, Sean O’Malley, Kalvin Platt, Elizabeth Shreeve will be representing SWA at this year’s conference. 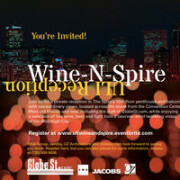 We will also be co-hosting a reception on Wednesday, October 17th. Email us for more details. 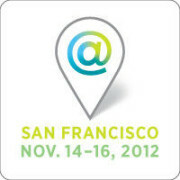 What makes a place memorable? How does it connect to its community? Why do people visit—and what makes them come back? Rene Bihan, a Principal in the San Francisco office, recently published an essay with Metropolis Magazine’s “Point of View” column looking at the importance of landscape in creating authentic regional expressions of place. 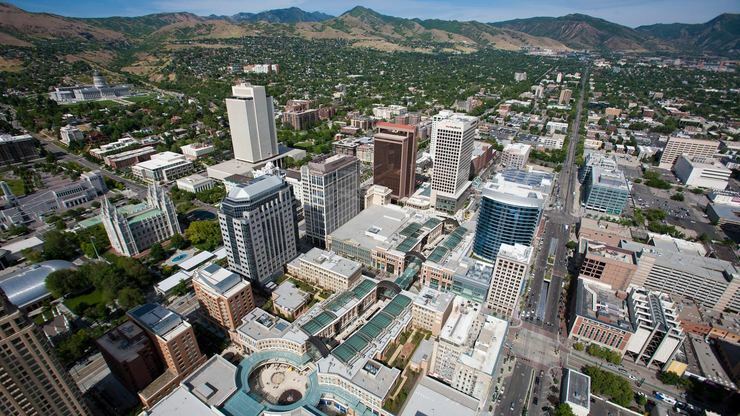 From Houston’s Discovery Green center to New York’s Bryant Park, to our recent work with Salt Lake City’s new City Creek Center, the successful urban centers in our favorite cities are often intricately tied to the public parks that people come to call home. Read the full editorial here. Several SWA people across multiple offices joined together over the past year to create a new Social Impact Design blog that looks at the moral and ethical implications of our work. In recent posts, Cinda Gilliland looks at aligning your values with your clients’ needs; Josselyn Ivanov studies the importance of small scale urban interventions such as bicycle lanes, drinking fountains, and traffic calming; and Andrew Watkins embarks on a fellowship to study expanded business models for non-profit endeavors in the physical design realm. 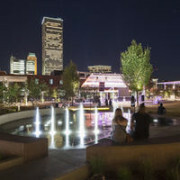 A new park project, Guthrie Green, in the Brady-Greenwood downtown districts demonstrates “the power of city parks to catalyze revitalization, generate innovative sources of energy, and maximize the benefits of effective private-public partnerships,” writes Elizabeth Shreeve for World Architecture News. 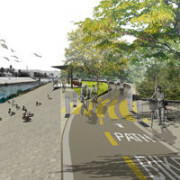 The project was submitted for a WAN award in the Urban Regeneration category as part of a $113.5 million public-private investment project designed in collaboration with SWA’s Sausalito office. The project transforms a 2.7-acre truck loading facility into a community gathering space with gardens, interactive fountains, an outdoor stage, a multi-purpose performance lawn, and an 11,200-sq-ft cafe pavilion. Congratulations to many of our talented and hardworking individuals throughout our offices–we recently named two new Principals: Chih-Wei Lin in Sausalito and David Gal in Laguna Beach. 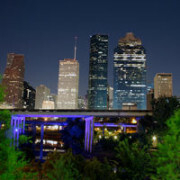 Also recognized are new Associates Michael Hee and Natalie Sandoval in Los Angeles and Jessica Bacorn in Houston. We look forward to their future leadership and contributions to the growth and success of SWA. 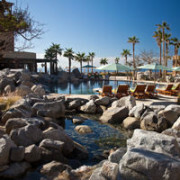 CAPELLA PEDREGAL, LAS VENTANAS WIN PREMIER RESORT & VACATION AWARDS. Capella Pedregal, a premier resort in Cabo San Lucas, has been named one of the “Top Resorts in Mexico” and the “Best Hotel Spa in the World,” by Travel and Leisure. Situated at the southernmost tip of Mexico’s Baja Peninsula, Cabo San Lucas is a beautiful illustration of nature at its most diverse. Baja’s dramatic desert terrain is punctuated by the rugged Pedregal Mountain before converging with the pristine sandy beaches along the Sea of Cortez. Las Ventanas, also in Cabo San Lucas, draws on indigenous and local plant materials that celebrate the drama of the harsh desert environment in a stunning visual display. The project was named by Travel and Leisure as one of the Best Hotels in Mexico. Kalvin Platt, former CEO and President of SWA Group, was just recognized by The Urban Land Institute (ULI) for his 2012 book, “Master Planned Communities: Lessons from the Developments of Chuck Cobb.” The book was honored with the first place Gold Award for the 2012 National Association of Real Estate Editors (NAREE) book awards. The book features decades of work in master-planning and over 200 photographs by Tom Fox, Principal of the Imaging department at SWA Group. 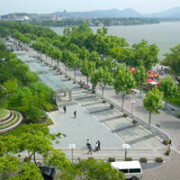 Congratulations to the team from Shenzhen Bay Waterfront for winning the Award of Excellence in Landscape Design from the International Federation of Landscape Architects! The project, a restorative Eco Master Plan, looks at 15 kilometers of coastline in Shenzhen, Guangdong, and the health and habitat of the rapidly growing city. Through extensive study of the history, geography, and ecology of the bay, SWA designed a master plan to encourage restoration, growth, and rediscover the city’s identity. Take a look at the full project here. The inaugural California Architecture Foundation’s Nathaniel A. Owings (of SOM) Award was given this year to the California Academy of Sciences. The award honors a California project built within the last 5 years that represents environmental excellent and exemplifies Mr. Owing’s spirit of “meaningful cooperation with nature as well as with one another.” Congratulations to everyone on the Academy of Sciences team!